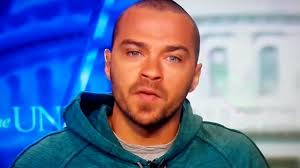 Actors like Jesse Williams continue to restore my belief in some of our black entertainers. Williams is the type of entertainer that is cut from the same cloth that brought us the likes of legendary figures such as Ozzie Davis, Ruby Dee, and Harry Belafonte. He's the type of black entertainer who is not afraid to speak truth to power. He is the type that sees an injustice and is not afraid to speak on the injustice unlike most of our other entertainers who have remained remarkably silent except for an occasional social media post. During an appearance on CNN's State of the Union, Williams took the mainstream media to task for it's choice of narratives when it came to the murder of Mike Brown. “We also have to talk about the narrative and making sure that we’re starting at the beginning. You’ll find that the people doing the oppressing always want to start the narrative at a convenient part, or always want to start the story in the middle. This started with a kid getting shot and killed and left in the street for four hours. I’ve never seen a white body left in the street for four hours in the sweltering heat. The cop doesn’t call in the shooting, the body isn’t put in an ambulance, it’s shuttled away in some shady unmarked SUV. This idea that because he stole a handful of cheap cigars, what’s that $5? I’ve lived in white suburbs of this country for a long time, I know plenty of white kids who steal stuff from a convenience store. [There's] this idea that every time a black person does something, they automatically become a thug worthy of death when we don’t own drug crimes. We’re not the only ones who sell and do drugs all the time. We’re not the only ones that steal and talk crazy to cops.